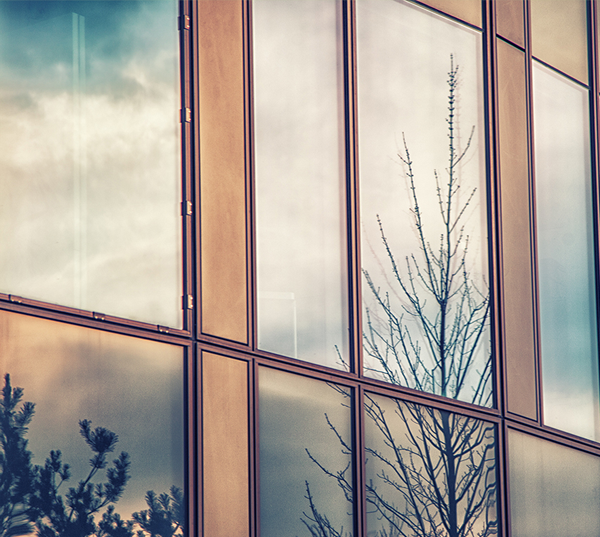 If your home windows are over 20 years old, chances are they’re due for replacement. When it comes time to get rid of your old windows and replace them with new ones, double hung windows are a great choice for Denver homes. Double hung windows are easy to operate, they’re energy efficient, they keep your home at a more comfortable temperature, and they also reduce outside noise. Double hung windows can be particularly useful for places of your home in which the windows are hard to reach for cleaning or where you’re tight on space, like walkways, porch areas, or patios. Below, we’ve listed some of the most common instances in which we recommend using double hung windows over other options. It’s common for rooms on the side of houses, such as kitchens or bathrooms to sit adjacent to outdoor walkways. This can also be true for foyers and front rooms that back up to your front sidewalk. 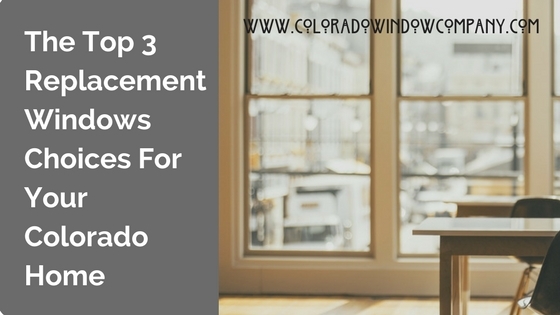 In these cases, windows that swing outward such as casement windows, may not be the most ideal option since they need room to open and can end up partially obstructing pathways. 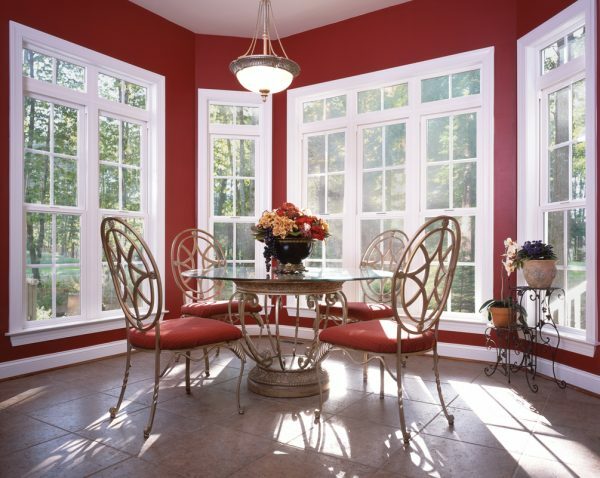 Double hung windows, however, slide upward and downward to open, and do not require any additional room. Almost the same thing can be said for front porch areas as walkways. Many people like putting chairs, swings, and tables out on their front porch to sit in when the weather is nice. 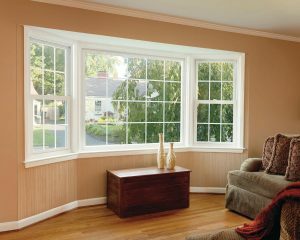 In these cases, some windows, like bay, bow, and casement windows, may not be possible to install. Double hung windows are a much more practical alternative. 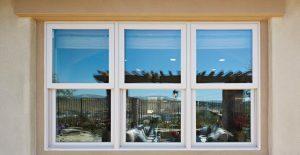 If you like to BBQ or spend time outside on your porch or in your backyard, you may also enjoy having double hung windows. Double hung windows stay out of the way of people walking by and are less at risk of being broken during games or activities. If you have a two or three story home, then you may have experienced troubles in the past trying to clean your upstairs windows. Upper level windows can be hard to reach from the outside, so the exterior facing side of the glass is often left uncleaned. With double hung windows on your second floor, you can easily open the window and tilt the glass panes, which makes them easier to clean. A kitchen can become hot and uncomfortable when there’s a lot of cooking or activity going on. In this case, some ventilation may be desired. Opening up a single pane window may allow cold air in that comes into contact with food on the counter or stove. Double pane windows can be opened from either the top or bottom, providing a way to ventilate your kitchen without running the risk of making your food cold. Now is the perfect time of year to get rid of your old vinyl windows and get your home ready for summer! Call Colorado Window Company today to receive an estimate on double hung windows for your Denver home or learn more about all the different types of replacement windows available to you.